Don Pope-Davis, professor of psychology and for the past six years vice president and associate provost at the University of Notre Dame, will leave Notre Dame in July to become the provost at DePaul University. 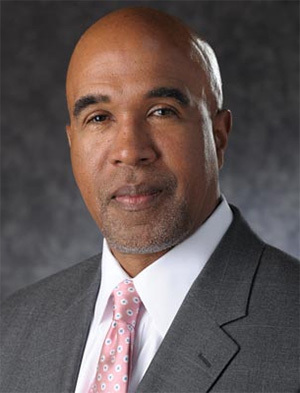 Elected to his current position in 2007, Pope-Davis is responsible for expanding opportunities and participation in undergraduate scholarship and research, implementing the Undergraduate Academic Code of Honor, and leading the University’s enrollment management efforts by overseeing the Office of Undergraduate Admissions and the Office of Student Financial Services. He also provides oversight to the University’s ROTC programs, Center for Undergraduate Scholarly Engagement, Hesburgh-Yusko Scholars Program, Office of Disability Services, DeBartolo Performing Arts Center, Snite Museum of Art, First Year of Studies, Institute for Church Life, and Center for Social Concerns. Pope-Davis previously was responsible for leading and managing the Provost’s Office’s involvement in the faculty recruitment and hiring process, tenure and promotions procedures, mentoring programs for faculty, and the creation and administration of new programs to help prepare faculty leaders to carry out administrative tasks. Prior to his election as vice president, Pope-Davis served for five years in the Graduate School – as assistant vice president from 2002 to 2004, associate vice president for the following two years, and interim dean of the Graduate School for one year. His other administrative experience at Notre Dame includes coordination of the Multicultural Research Institute, direction of the TRiO Programs – the McNair Scholars Program, Upward Bound and Talent Search, all federally funded educational opportunity outreach programs designed to motivate and support students from disadvantaged backgrounds – and the leadership of the Moreau Academic Diversity Postdoctoral Fellowship Program, an initiative to attract scholars from underrepresented groups to Notre Dame for research and engagement of issues related to multiculturalism and diversity. Pope-Davis served for three years as chair of Notre Dame’s Faculty Board on Athletics and its NCAA faculty athletics representative. He also has served on the Provost’s Advisory Committee and the Diversity Committee. A member of the Notre Dame faculty since 2000, Pope-Davis studies in the areas of multicultural psychology, counseling and education. Specifically, he is interested in cultural and racial identity development, cultural competency training, development and assessment. Other areas of research include multicultural supervision in professional psychology, development of multicultural measures for assessing environments and supervision, issues of mental health of people of color, and cross-cultural communications. Pope-Davis and Darren Davis, professor of political science at Notre Dame, co-authored a report on African-American Catholics in 2011. The largest sampling ever of its kind, the survey examined the religious engagement of African-Americans with the Catholic Church and identified demographic trends facing the Church. Among the findings were that African-Americans are stronger in their faith than white Catholics, and about 25 percent of African-Americans perceive racism in their parish. Pope-Davis is the co-author of three books, “Multicultural Counseling Competencies: Assessment, Education, and Supervision,” “The Intersections of Race, Class, and Gender in Multicultural Counseling,” and the “Handbook of Multicultural Competencies in Counseling and Psychology.” He has published extensively in journals and books in the field and is a research fellow of the American Psychological Association. His productivity as a researcher was recognized in 2008 in a survey that rated him as the third leading contributor to the multicultural counseling competencies literature between 1986 and 2005. Pope-Davis earned his doctorate in counseling psychology from Stanford University and his bachelor’s degree in psychology and theology from Benedictine University in Lisle, Ill. He previously taught and conducted research at the University of Maryland for six years and the University of Iowa for five years. Pope-Davis is the second Notre Dame vice president and associate provost in the past two years to be appointed chief academic officer at another Catholic university. Dennis Jacobs became the provost at Santa Clara University in August 2011. Originally published by Dennis Brown at newsinfo.nd.edu on February 27, 2013.